Well it's been quite a quiet weekend on the android front, perhaps you could call it a MWC hangover! Most android announcements were made last week, so there probably just wasn't anything else to report on! Expect it to pick up next week though! One of the new API's for developers introduced in honeycomb is the animations API. The whole premise behind this video is just to show how fluid animations can be added to android apps, and because this is part of the core API, it should be much easier to developers to add it to their apps. So expect beauty and sexiness galore when honeycomb finally hits! Popular ios game Flight Control is now available on the android market for around Â£3/$5. There are other similar games on the android market of course, both free and paid. But if you like this game then its something you should check out, and remember the 15 minute refund window! 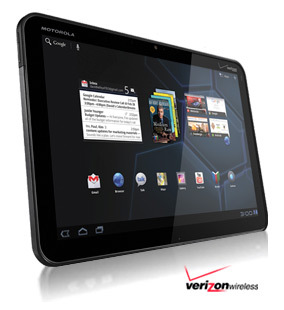 Best Buy have listed the Xoom at $799.99, along with a whole host of expensive accessories. Although it seems that you can only buy the thing in store, perhaps so they can take the photo opportunity of a busy store? One thing I find absolutely crazy is having to take at least 1 months data plan in order for WiFi to work... That it just... beyond believable. Amazon hoping to makeÂ convenienceÂ the winner on its attempt to take on the official android market. They will let you buy android apps, regardless of whether you own an android device or not. Carphone warehouse is one of the biggest pushers of android on the UK high street, the little green guy is literally pasted all over their stores, its good to see that their coming soon page is pretty much a list of new android phones!